Apple Inc has announced the change of stopping further registrations to Apple Heart study, a medical research program that aggregates heart rate data gathered from Apple watch devices. In order to determine, if the wearables can identify the irregular heart rhythms, Apple Inc announced this decision in their dedicated Apple Heart study FAQ web page this week. Revealing that enrollment to this program ended on August 1st, 2018. Apple will continue to procure their necessary data from the already existing users actively participating in this program until the conclusion of this research in January 2019. Prior to their decision, Apple was accepting all registrants who owned a compatible Apple watch through an iOS app, which has been removed now from the app store, since Apple decided to stop further registrations. Apple along with their medical partner Stanford medicine were actively seeking new registrations as recently as May. Earlier this week Apple heart study app users complained about an unusual behavior of the heart study app, where prevailing users were not able to access the app. But in most cases, the problem was rectified. Whether this problem has any links with the decision to close registrations to this research program is unknown. 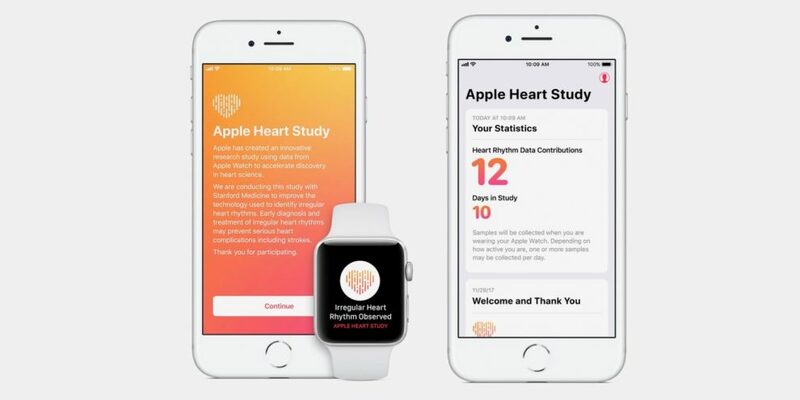 The announcement of this program was made last year alongside the launch of Apple watch series 3, The main aim of this research program is to inspect whether the data collected from the Apple watch is in concurrence with Apple Heart Study App. Also, check if watchOS companion app can be used to identify irregular heart rhythms including those related to heart conditions like atrial fibrillation. The system also includes its utility as a mechanism to timely notify Apple watch owners in case of any irregularities in their heart beat rate. In case a registered participant exhibits abnormal heart activity, they receive a notification on their Apple Watch and iPhone. Also, the users receive a free consultation with a study doctor and electrocardiogram peripheral for additional monitoring. The study was launched last November and will go on until January 2019. Should you upgrade your iPhone X to iPhone XS or XS Max?